MIAMI – 2X GRAMMY® award-winning producer/DJ duo, Play-N-Skillz release today their newest single, “Pegadito“. The multi-platinum selling artists joined forces with fitness empire, Zumba in an exclusive partnership on the release of this single. Zumba has become one of the biggest fitness brands in the world, using upbeat music to motivate momentum. “Pegadito” is available now for digital download and streaming across all major music platforms. This new single is particularly unique for Play-N-Skillz because instead of featuring other artists on vocals as the producers typically do, this time they leant their own talents to the track. The brothers are known for what they do on the boards and behind the DJ booth, but this time they decided to drop their own signature touch on the record and it proved once again that Play-N-Skillz are an unstoppable force to reckon with. The Texas-bred brother duo are no strangers to momentum as they have had an impressive career spanning over a decade. They have curated music that not only blurs genres but influences international audiences. “Pegadito” is another one added to the long list of undeniable hits for the Latium Entertainment/Sony Music Latin recording artists. “We are excited about Pegadito, it’s something we haven’t done in a while in terms of putting our own vocals on a record, but when it all came together we knew we had another banger on our hands. This song is going to dominate the dance floor this summer without a doubt, and we’re sure our fellow DJs all around the world will play this tune from the festival to the club scene” explains Play-N-Skillz. Play-N-Skillz are continuously working hard to raise the bar with each release and have become one of the first signed DJ/producer acts to represent that essence of artistry on a global level in not only Latin music but various genres across the board. 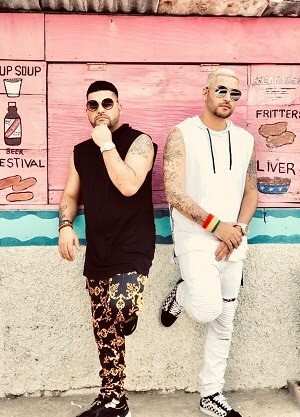 The brothers had an astonishing 2018 and made history becoming the first Latin signed artists to have six simultaneous releases across six different genres, including the smash, hit, “Azukita” alongside Steve Aoki, Daddy Yankee, and Elvis Crespo. Currently, Play-N-Skillz are celebrating the global success of their latest work, “Con Calma” by Daddy Yankee ft. Snow, which is the #1 most streamed song on Spotify globally, it also holds the No. 1 streaming position in more than 20 countries across Spotify & Apple Music charts, #1 on Billboard Latin Airplay and Latin Digital Songs charts, and #1 on YouTube’s global views chart, surpassing 429 million views of the video since its debut on January 23rd. Masterminds behind this global smash, Play-N-Skillz first developed the idea to remake the 90’s hit, ‘Informer’ over 3 years ago and knew that Latin superstar, Daddy Yankee was the perfect artist to take it worldwide alongside Snow who released the original classic in 1992. 2019 has ushered in a new phase for Play-N-Skillz as artists, performers and most importantly creatives. The brothers are hard at work on their upcoming album, which is due out later this year. With a tour in the works across the U.S., Europe and Latin America, Play-N-Skillz are committed to continuing to make waves across the globe with their infectious beats, creative and versatile collaborations, and their ability to crossover musical genres with ease. With a career spanning over a decade, the Dallas-bred brotherly duo, Juan “Play” and Oscar “Skillz” Salinas have built a name for themselves as one of the most respected DJ/Production teams in the industry. 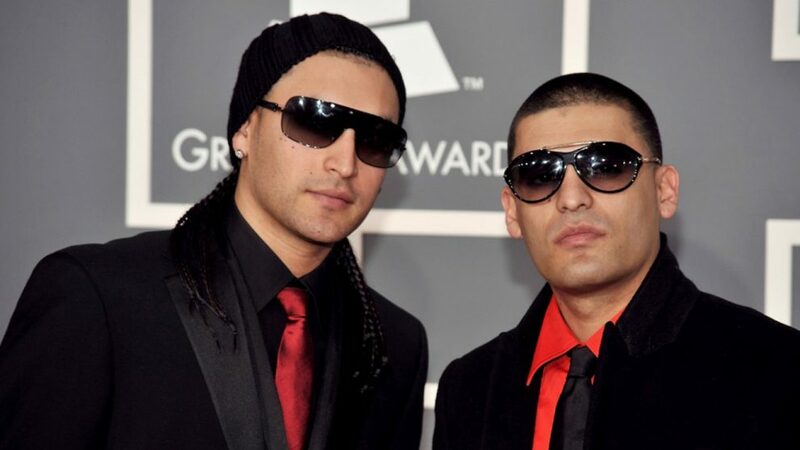 Play-N-Skillz got their big break in the early 2000s producing hits such as Lil Wayne’s, “Got Money” and Chamillionaire’s “Ridin (Dirty)”, both songs earning the Argentinian/Venezuelan brothers GRAMMY awards respectively. Throughout their careers, they have gradually evolved their sound and talent for global reach amongst genres like EDM, Latin, Hip-Hop, Pop, Trap, and K-Pop. Signing to Latium Entertainment/Sony Music Latin in 2016, they topped the charts in 2017 with their hit remake of the classic Selena song, “Si Una Vez” and their Latin break-out record, “No Es Ilegal” ft. Daddy Yankee. They were named Latin Billboard Award finalists for Best Duo/Group for two consecutive years. In 2018 they made history becoming the first Latin artists to have 6 simultaneous releases across 6 different genres, including the smash, hit, “Azukita” alongside Steve Aoki, Daddy Yankee, and Elvis Crespo. They also made history by producing the first ever K-Pop song to break onto the Billboard Latin charts.